For many Mechanicstown drivers, what’s most important about a vehicle isn’t its fuel economy or performance, but what features come with it. 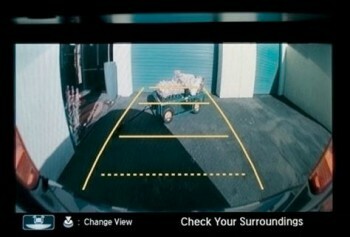 Car technology has advanced incredibly in the last few years, and you’ll be able to find some of today’s best features on the 2014 Honda Accord. 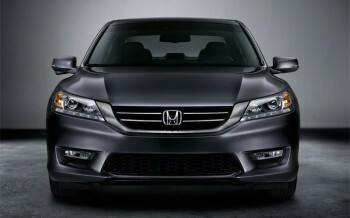 You may still be deciding between the Accord and the 2014 Toyota Camry on features and other qualities, and that’s okay. You can see the Accord at our dealership in Middletown — in the meantime, you can read on. On this page, we’ll break down how the features in the two cars compare by trim level. Middletown drivers will notice that both the 2014 Honda Accord LX and the 2014 Toyota Camry L are filled with features, especially for starting models. Each features Bluetooth connectivity, an auxiliary audio jack, and USB integration. The 2014 Honda Accord does have quite a few more features, though, like dual-zone automatic climate control, a rearview camera, full power accessories, Pandora internet radio, six speakers instead of four, and an 8-inch display screen instead of a 6.1-inch screen. For those who want more performance, the Honda Accord Sport boosts horsepower from the four-cylinder engine, adds a rear spoiler, paddle shifters for the CVT, an eight-way power driver’s seat, and a leather-wrapped steering wheel. In contrast, the 2014 Toyota Camry LE’s features are nowhere near as exciting with power door locks, automatic headlamps, and an outside temperature display. It’s not much of an upgrade here. Both of these trims have a lot in common, like 17-inch wheels, leather-wrapped steering wheel, sunroof, and a power driver’s seat. 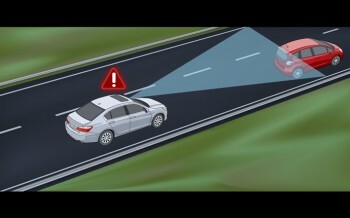 The Honda Accord still comes out ahead here with keyless ignition and Honda’s LaneWatch blind spot detection system. These are features that many Mechanicstown drivers will surely appreciate. Each of the latter trims can be equipped with a V6 engine. There’s no feature change between the 2014 Accord EX and EX V6, but the 2014 Camry SE V6 gains a few more features like satellite radio, navigation, and smartphone integration. There’s not a clear point of comparison here as the Camry SE V6 is meant as a terminal trim due to its sporty look, while the Accord EX V6 is not. At the top level for four-cylinder models, the Honda Accord fully embraces its luxury status with leather seating, heated front seats, an improved rearview camera, satellite radio, a seven-speaker audio system, and smartphone integration. You can also up the ante to the EX-L with Navi, which adds a navigation system with voice recognition. On the other end of the spectrum, the Camry XLE finally gains dual-zone automatic climate control, a sunroof, eight-way power seats, and heated mirrors while dropping the SE’s sporty upgrades. While the XLE V6 will add on some more features, there’s no way to get a luxury midsize experience with the four-cylinder engine. Instead of an EX-L trim with the V6 engine, there’s the Touring trim to top the Honda Accord lineup. It has all the same features as the EX-L, but adds brighter LED headlights and an adaptive cruise control system that slows down the vehicle to stay in position with the car in front of you. The 2014 Toyota Camry XLE V6 features are a lot like the SE V6, giving you a rearview camera, leather upholstery, navigation, and smartphone app integration, but it still doesn’t have the range of features found on the 2014 Honda Accord. The 2014 Toyota Camry and the 2014 Honda Accord have vastly different features included, even though they’re in the same price range and are about the same size. 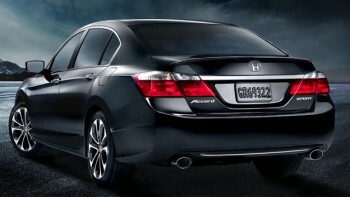 At each trim, the Honda Accord just offers more than the Toyota sedan. 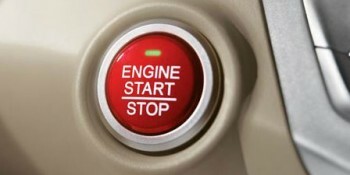 If you’d like to see all those features in action, then come to Middletown Honda. We’re at 520 Route 211 E in Middletown, not far from Mechanicstown.